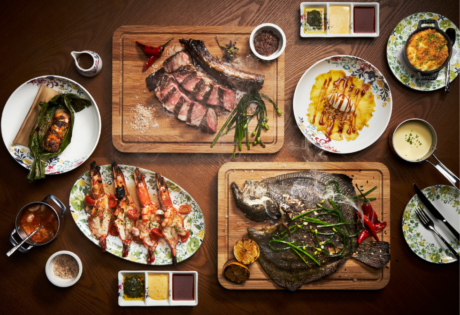 You no longer have to make the trip down South – to Sentosa, that is – to sample the culinary flair of the Chef in Black. Having relocated his brainchild from Quayside Isle at Sentosa Cove back to the heart of the city at One Fullerton, the high-profile Belgian chef, Emmanuel Stroobant, has made his European fine dining dishes more accessible once again to post-work diners, wide-eyed visitors to Marina Bay, or simply folks yearning for a romantic dinner in town. Indeed, there is an aura of romance that soaks in once you step into the sleek, sophisticated confines of this intimate 30-seater. 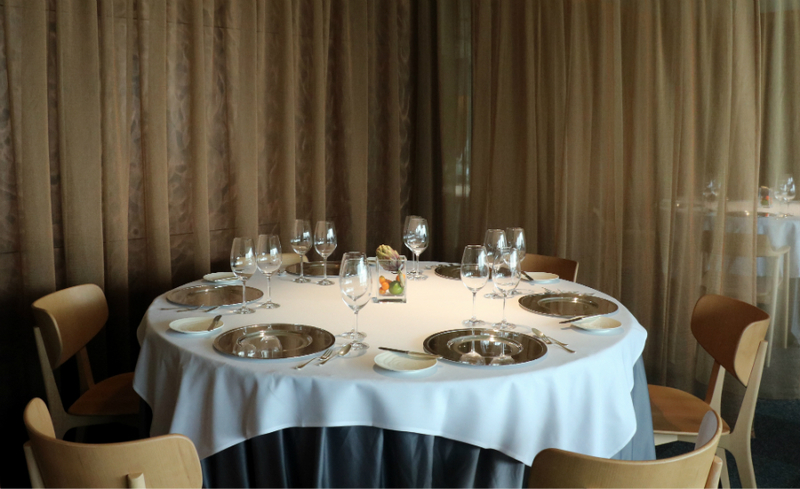 At Saint Pierre, you can sense Chef Emmanuel’s love for his craft honed over three decades, his philosophy of using the freshest and purest ingredients, and his attention to impeccable service that makes guests feel prim and pampered. Saint Pierre is a project of love, and its doors are open once again for you to embrace it. 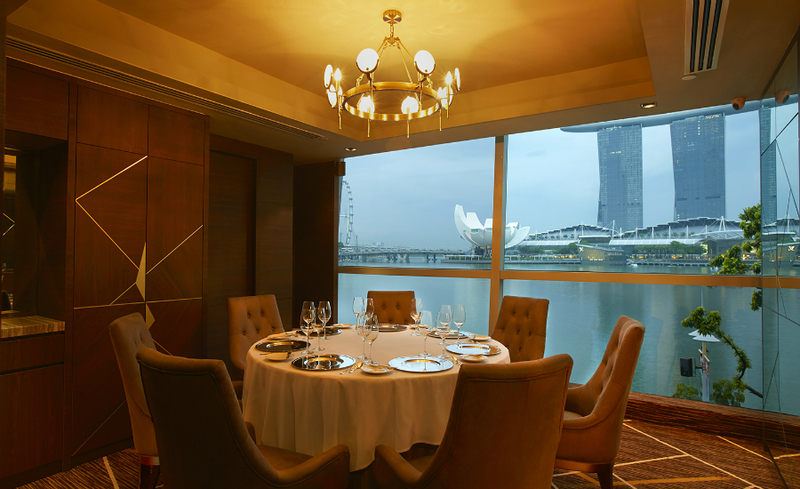 Whether you arrive here for lunch or dinner, you’ll be astonished by the view magnified by the floor-to-ceiling windows – a picture-perfect panorama of Marina Bay. Designed by FBEYE International, the restaurant exudes a gentle setting with contoured wooden chairs and bronze-hued chandeliers; its homeliness enhanced with smooth table linens and draping, copper-toned curtains. 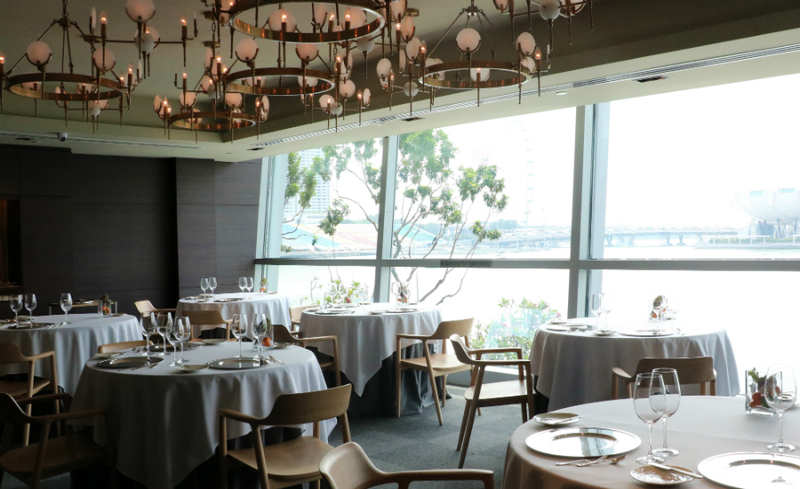 The façade doesn’t create an overly-ritzy first impression – despite the top-tier dishes you’d expect here – and it makes you feel at ease from the very moment the service staff usher you to your seat. 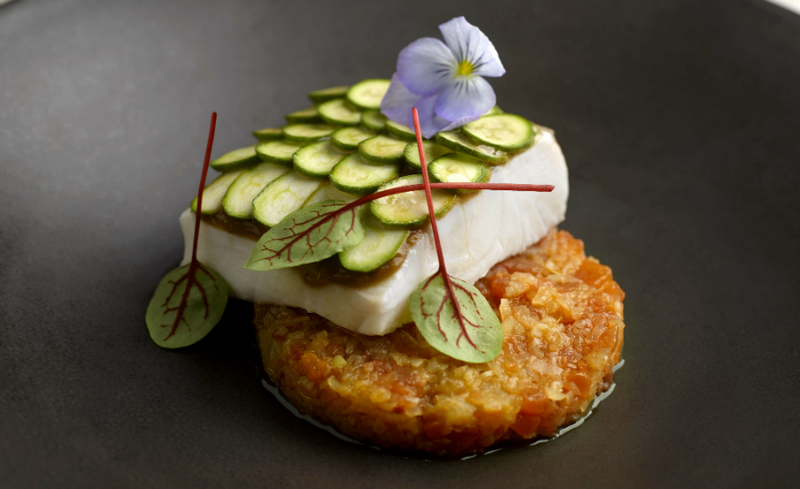 Birthed from Chef Emmanuel’s ethos of “cooking from the heart”, the Saint Pierre experience is a highly personable one. From ensuring your napkin is never crumpled to the removal of breadcrumbs from your table, not once do you feel that service is amiss. While you’ll inevitably feel spoilt for choice with Saint Pierre’s selection of breads and butters, and extensive cheese and patisserie trolleys that are rolled out for your ravenous picking during the six- or 10-course meals, the staff will attentively give you a comprehensive rundown of what’s what. Feeling like a hard, nutty, aromatic goat cheese, and something light and tart for dessert? 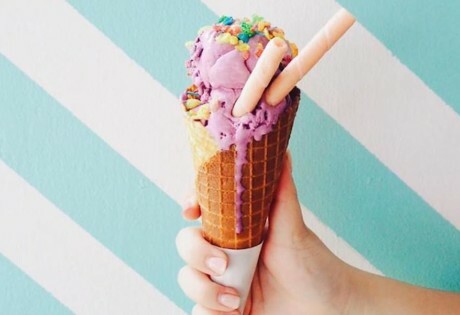 They’ll pick one out that suits your palate perfectly. 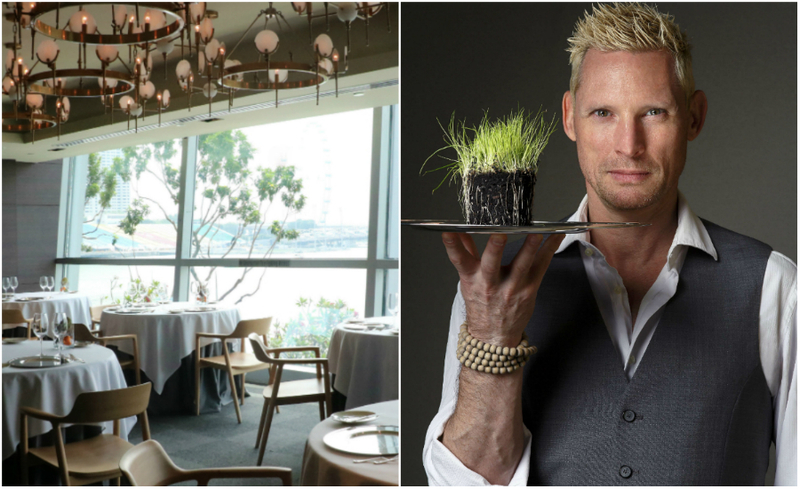 Even Chef Emmanuel himself will join you tableside to prepare seasonal starters for you – we had the privilege of watching him concoct a leek chawan mushi with parmesan crumble, a foie gras cube topped with duck meat and sweet potato sauce, and asparagus with abalone foam and caviar. And that’s not even the beginning of the set menu. 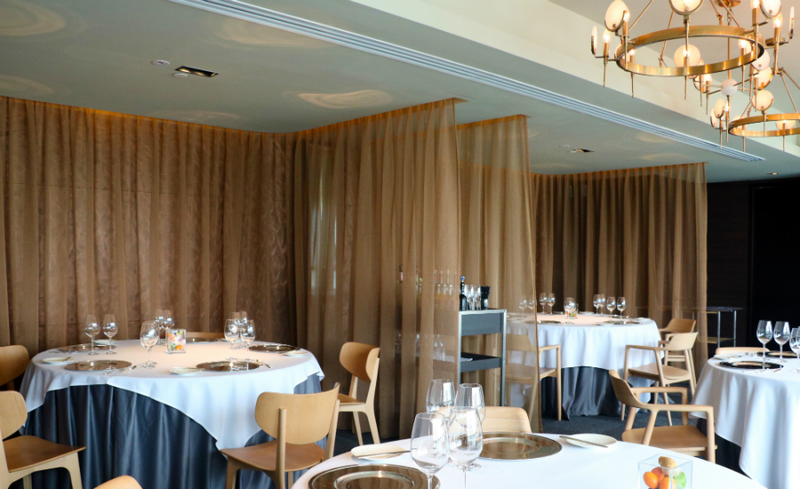 Two menus are available at Saint Pierre, both reflecting Chef Emmanuel’s methodology of “Essence-centric Cuisine”, using the essences of natural ingredients for base, stocks and seasonings to bring out the flavours of his dishes in a natural way. 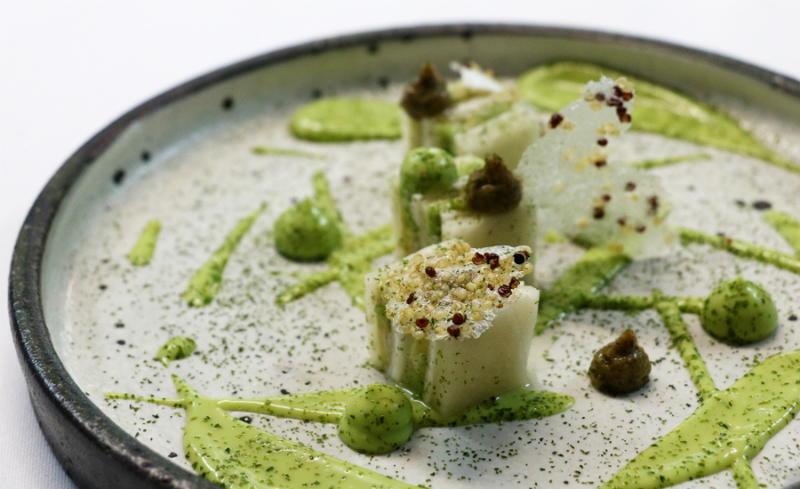 The Nature set is dedicated to vegetarians, boasting dishes that are perhaps most faithful to Chef Emmanuel’s techniques, considering that he himself became a vegetarian seven years ago. Meat mavens need not worry, however, for you can always opt for the Earth set that caters to the carnivore in you. Being the set we picked, the Earth menu first revealed scallop with smoked potato foam, sweet potato leaf, preserved black truffle, roasted potato, and scallop juice with sweet potato extraction. 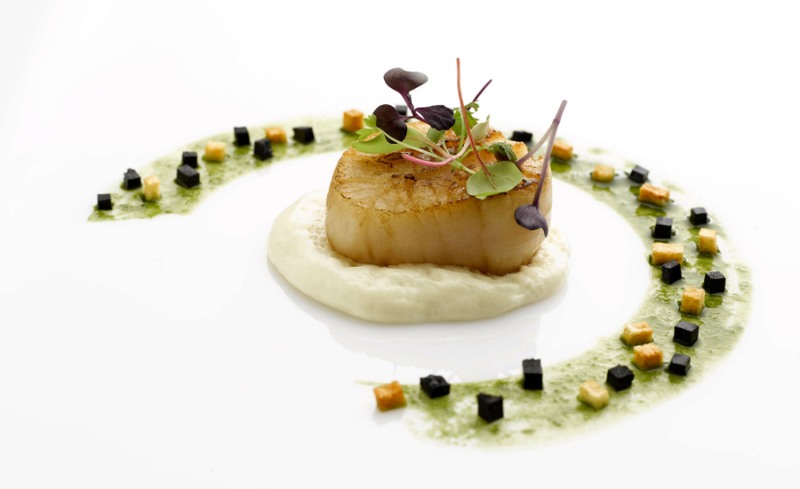 The softness of the juicy scallop complemented the crunch of the leaves, and the combination of sweet and salty flavours was elevated, albeit mildly, by the distinctive truffle. 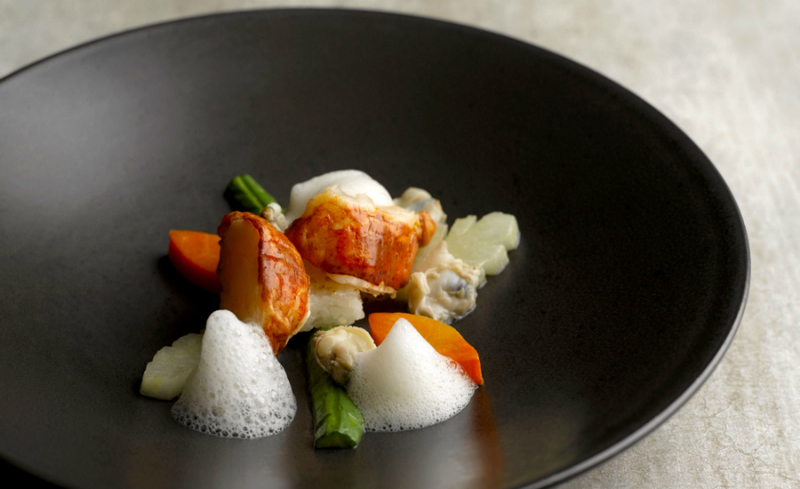 A creamy lobster royale with seaweed smoked butter and leek followed after, and a hearty oxtail consommé with cod fish, daikon and carrot. There was no disappointment to be found in Chef Emmanuel’s preparation of the Matsusaka, M9-marbling wagyu beef – tender and melt-in-your-mouth – served with smoked eel, black garlic confit and ginger-infused veal jus that was absorbed by the meat. 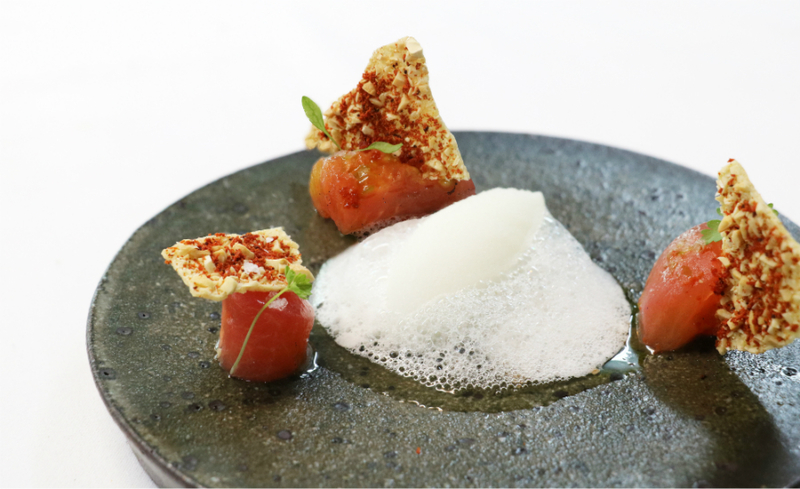 But the dish that might pose a challenge – especially if you’re not the biggest gobbler of onions – is the onion puree with vieux comte cheese, grapefruit, caramelised shallots and roasted onion extraction. A cheesy, heavy, mixture of heady aromas and lingering tastes of onion, we won’t fault you if feel like popping in some mints after this ambitious addition. 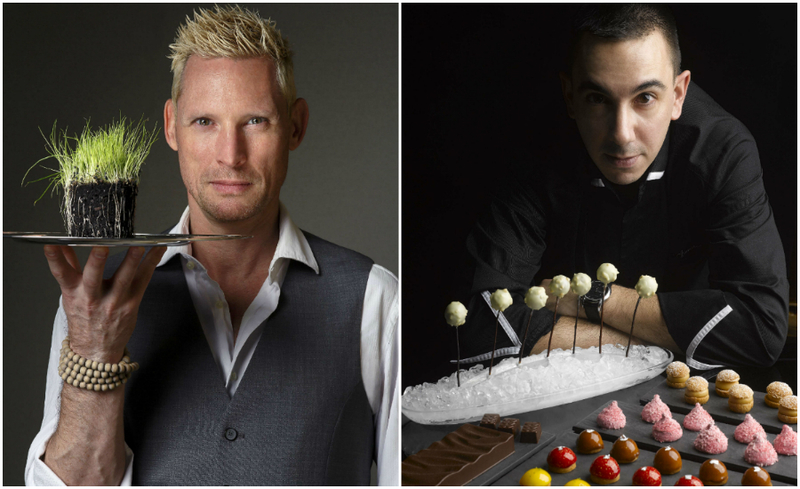 Thankfully, Saint Pierre’s desserts serve as that much-needed palate cleanser. 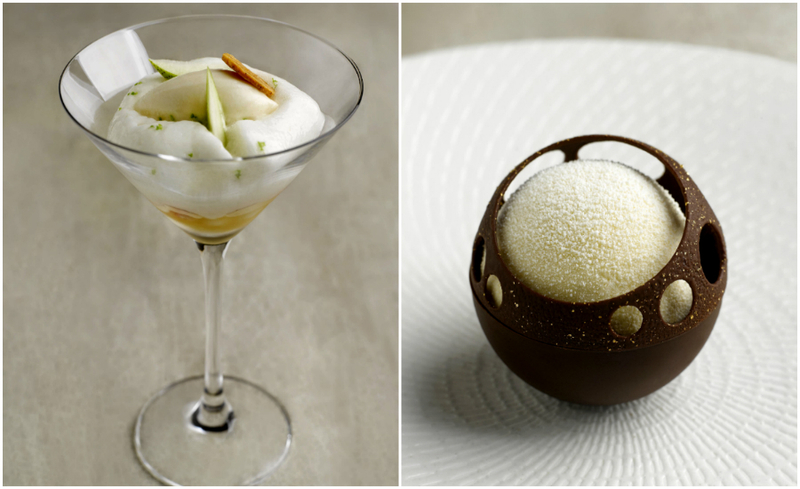 You can either savour the refreshing pear with Williamine and parmesan, or (you can have both with the 10-course set) the chocolate mousse encased within a vanilla parfait and a chocolate shell, with a passion fruit centre in the middle. 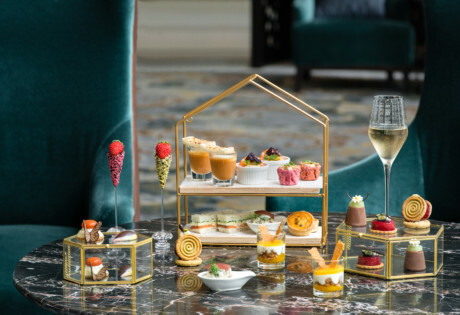 And if your sweet tooth isn’t satisfied yet, you can always summon the patisserie trolley for a few finishing touches to your feast. 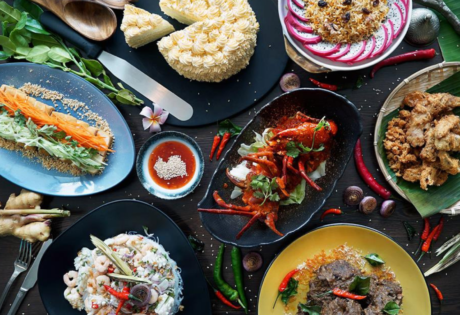 At just $158++ for a six-course Earth menu ($188++ for 10-course), and $148++ for a six-course Nature Menu ($178++ for 10-course), you’re definitely getting your money’s worth with the extra dining perks, the spick and span service, and the extraordinary quality of dishes stemming from the ingeniousness of Chef Emmanuel. It’s a new home for Saint Pierre, but the essence you grasp from the experience is still as vitalising as ever. Saint Pierre, #02-02B One Fullerton, 1 Fullerton Road, Singapore 049213, p. 6438 0887. Open Tue-Fri 11.30am-3pm, Mon-Sat 6pm-11pm, closed on Sun.